We make some of the best muzzle brakes you’ll find on the market. Our brakes reduce recoil and provide superior performance. You don’t have to take our word for it though, check out the video below. 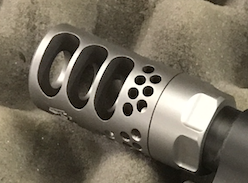 Our custom CNC machined muzzle brakes will improve performance and reduce recoil. Order yours today.